Therefore, now that your spirit man is born again, you are expected to gravitate towards the things of the spirit if you want to grow. Your new birth is a spirit experience, and only the things of the Spirit will help you grow. Furthermore, to successfully live the life of the spirit, it is not enough to be baptized in the Holy Spirit. You must pursue a growing, personal relationship with Him and crave for more opportunities to be filled by Him. No wonder Ephesians 5:18 commands us to be filled with the Spirit. Like the disciples, if you want to be filled over and over again, be separate from the things of the flesh, have fellowship with God where you can worship Him in spirit and in truth, attend Church services together with like-minded believers, feast on His word and pray in tongues regularly. Consistently try to increase the amount of time you spend praying in tongues. Pray in tongues and sing in tongues. This will help your spirit grow. OPEN HEAVENS DAILY DEVOTIONAL – WEDNESDAY MAY 31, 2017: WHOSE WILL? 6:13 And lead us not into temptation, but deliver us from evil: For thine is the kingdom, and the power, and the glory, forever. Amen. God is a God of purpose, and He is highly organized. He plans far ahead of His deeds. For instance, Ephesians 1:4 says that long before God laid the foundations of the earth, He had already chosen us to live a holy and blameless life before Him. God knows exactly what He wants and where He is going. God could not have created the world and everything in it without a definite plan or purpose for His creation (Isaiah 45:18). He has a will which is clearly revealed by His word. May God cause you to know His plan for your life and give you the grace to follow it in Jesus’ Name. You are here on earth to do His will and not to please yourself (Romans 12:2). For this reason, Colossian 1:16 says we were created by Him and for Him. You were created for His purpose. At the end of time, only those who follow God’s will diligently on earth will be translated to continue doing so in Heaven. Whose will are you following? Are you daily doing God’s will or yours? Father, teach and grant me grace to do your will with all of my heart. Posted on May 30, 2017 June 2, 2017 Categories Devotional, Open Heavens, Pastor AdeboyeLeave a comment on OPEN HEAVENS DAILY DEVOTIONAL – WEDNESDAY MAY 31, 2017: WHOSE WILL? If you are still living in sin, Jesus Christ has come to change your eternal destination from Hell to Heaven. For this change to happen, you have to accept the remedy for sin which He has made available in His Blood. If a person does not achieve this crucial change before death, all other achievements during his or her lifetime will fade into nothingness, and then fellow will be faced with an eternity in Hell. Open Heavens 30 May 2017: Tuesday daily devotional by Pastor E. A. Adeboye – the ultimate destination. The shocking truth about this is that God will never force a person to change his or her final destination. He won’t force you to change from the hell-bound way to the heaven-bound narrow path. He allows you to make your decision and to live with the eternal consequences hereafter. I was taking to an important personality recently about being born again. He kept arguing with me, and so I told him this: “Sir, it is not something we should quarrel about. It is not compulsory for you to go to Heaven. If you prefer to go to Hell, it is your choice.” Then he said, “Why are you begging me to be born again or to give my life to Jesus?” I laughed and replied, “Me, begging you? I am not begging you but only sounding a note of warning. If you choose to wind up in Hell, it is your choice.” Some people think that as long as they do not believe in the existence of Hell, they cannot go there. Hell is real! Many people are entering into Hell every day, and yet it is not full (Proverbs 27:20). If the only feat you can achieve on earth is to avoid Hell, it is worth the trouble. Many people were mocking those who preached the gospel of Jesus Christ to them during their life time until they ended up in Hell. Hell is worse than any type of suffering or punishment you know on earth. Do everything possible to avoid it by genuinely giving your life to Christ today. To make Heaven your final destination, do the following: repent and confess your sins to God; ask Him to cleanse your sins with the Blood of Jesus; invite Jesus into your life and confess Him as your Lord and Saviour and ask God for grace to live for Him till you die. Open Heavens Daily Devotional: Bread or Crumbs? OPEN HEAVENS DEVOTIONAL: Any Fruit of Repentance? Even today, after Jesus had said that the children of the Kingdom are meant to eat at God’s table, many of these children still prefer the crumbs that fall from the Master’s table (Luke 12:32, Matthew 15:26). Where is your focus: the table or the crumbs? Similarly, there is a correlation between your desire and your trust in God. If you really have faith in God, you will be able to ask big. The Bible says those who know their God shall do exploits (Daniel 11:32). In other words, when you know little or nothing about God, when asked to make a request, you will be afraid of asking for too much, and so you will be confined to asking for so little. However, when you know how inexhaustible the resources of God are, it will stir up courage in your heart to ask for big, great and impossible things.Therefore, if you are asking for a used car, a tiny rented apartment or a job that can barely take you away from starvation, it is very possible that you do not know or trust God enough. In today’s Bible reading, Agur made a very humble request. He asked for neither poverty nor wealth. He feared poverty, lest he might be tempted to steal; and he also feared wealth, lest he deny God. Just enough was that he asked for. Using the children of Israel as a model of God’s plan for your life, you will observe that God took them from the wilderness, where they had Manna that was just enough for each day, to a land flowing with milk and honey, where they had more than enough (Exodus 16:15-19, Deuteronomy 6:10-11, Joshua 5:12). Just enough might mean not having reserves to take care of emergencies. That means, in an emergency, you may be forced to go cap in hand borrowing. Are you asking but asking for too little? How can your joy be full if all you have is little? Are you asking for little in consideration of others who are also asking God for the same things? You can never exhaust God’s resources. Ask big and stop limiting yourself! Ask God for something really big that only He can do for you. Posted on May 29, 2017 June 2, 2017 Categories Devotional, Open Heavens, Pastor AdeboyeLeave a comment on Open Heavens Daily Devotional: Bread or Crumbs? Topic: Any Fruit of Repentance? Fasting can be used to demonstrate genuine repentance before God. Exemplifying the above scripture, Prophet Daniel embarked on a fast to show repentance for his sins and the sins of the children of Israel in Daniel 9:3-20. All through the Old Testament, when individuals or a group of people fell into sin and judgement was imminent, they returned to God in fasting and mourning, expressing sorrow for sins committed. How truly sorrowful are you when you sin against God? Is there any deep sorrow for sin anymore? Today, when you see a believer asking God for pardon over a wrong he or she has committed, you will be amazed. A few seconds after he or she has apologised, he or she is seen carrying on as if nothing ever went wrong. There is no manifestation of godly sorrow. People do not see offending God as anything anymore. They hide behind grace to cover up their evil lifestyle. However, can God be fooled? Genuine repentance must exhibit the fruits of humility, confession, brokenness, a desire for restitution where necessary and a commitment to never return to the evil act. Take King Ahab as a case in point. He was a wicked king with a satanic wife, Jezebel. The wickedness perpetrated during his reign for exceeded that of other regimes (1st King 21:25). Yet, when God spoke to him about an impending judgment, he immediately readjusted, tore his royal robe, wore sackcloth, humbled himself and fasted (1st Kings 21:27). When God saw the fruit of repentance in him, He deferred His judgement till the next generation. When you say to God “Father, I’m sorry, please for me”, is there any fruit of repentance to back it up? Some leaders get involved in terrible sins, and after whispering, “Father, I am sorry”, they continue as if nothing ever happened. Is that genuine repentance? People hardly weep or mourn over their shortcomings anymore. They hardly set themselves apart in fasting and prayer to reach out to God for mercy. No wonder they continue in their sins. If you are sorry, you will bring forth fruits consistent with repentance through your actions. Do you have such fruits? Repentance goes beyond just saying, “I am sorry”. Your comportment and inner resolve go a long way to validate or discredit claim. Posted on May 28, 2017 June 2, 2017 Categories Devotional, Open Heavens, Pastor AdeboyeLeave a comment on OPEN HEAVENS DEVOTIONAL: Any Fruit of Repentance? Do you know that regular evangelism can keep you in shape spiritually? If you belong to Christ, you are like a living tree that produces fruit (Psalm 1:3). Any tree that produces good fruit will definitely be appreciated by its owner. Bearing spiritual fruit is one obvious sign that you are still spiritually alive. If you are winning souls often, it shows you are growing spiritually. It takes obedience to the Holy Spirit and partnership with Him to win a soul and to give life to the spiritually dead. If you are not bearing fruit, it could be because you are dead or separated from God. A dead fellow cannot be used as an agent of life. Moreover, in the course of soul-winning, there are some ideas, teachings and abilities that the Holy Spirit will endow you with which you may not easily access through any other means. The truth is that those who go out for evangelism never go out alone. Why? Since they are out to obey the Lord’s command. Which is so important to the Godhead, the Trinity works with them (Mark 16:20). The Lord sees to it that the word of the evangelist does not fall to the ground (Hebrews 2:3-4). The evangelist is a true fellow-worker with God. On the other hand, the fellow who does not win souls is not bringing joy to God’s heart and is also not showing signs of spiritual life. If you continue your Christian life without leading others to Christ, you may be cut off from your Source (John 15:2, Luke 13:7). It therefore follows that if you want to grow spiritually, you must make soul-winning a regular activity. You must win souls and continue to win more souls. If you are actively winning souls, you will experience God’s special love and attention. God will also answer your prayers more easily, and increase your capacity to be fruitful by taking away hindrances to fruitfulness from your life. Using your attitude to soul-winning as a benchmark, are you dead or alive? Action Point: To catch up on the number of souls you should have won in the past, launch an aggressive personal evangelism outreach drive to bring in at least 100 souls to God kingdom. If there is one state that God never wants His children to be in, it is the state of lukewarmness. As seen in the above Scripture passage, the Lord speaks His mind on this issue in very strong terms. He says if you want to be hot, be hot, and if you want to be cold, be cold; if you are neither cold nor hot, He will spit you out of His mouth. God has zero tolerance for lukewarmness. As foretold by the Holy Spirit long ago, many Christians in these last days are falling into the state of lukewarmness. Lukewarm people are tasteless in God’s mouth, and hence He cannot stand them. 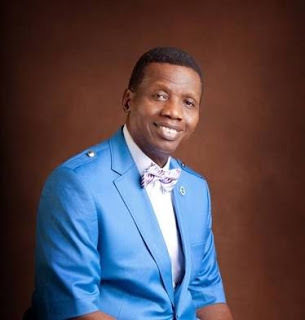 OPEN HEAVENS DAILY DEVOTIONAL: Trying To Corner God? You cannot mix your worship to God with the worship of an idol. How can you put the Ancient of Days on the same platform as an idol that is the contraption of men’s hearts? God is greatly insulted by this. If you want to be a Christian, be a completely devoted one. Serve Him with your life and ensure you glorify Him in all that you do. If you however do not want to be a Christian, do not pretend to be one. One soul I wish could have won for Christ is Fela Anikulapo Kuti, the late Nigerian Afro-beat music icon. I loved him for one thing: he was not a pretender. His lifestyle clearly showed that he was not on the side of Christ. This man married 27 wives in one day! He was a law unto himself. Some people say they are serving God, and at home they have one wife, but outside, they have several mistresses. Stop pretending! If you want to serve God, serve Him, but if you don’t want to serve God, stay away from Him. Whatever is worth doing is worth doing well. A lukewarm fellow will say he like something, whereas he hates that same thing in his heart. He or she lives a false life. Some people appear to be very active and zealous for God when they are in their country of origin, but when they travel abroad, you will not believe they are the same person you thought you knew. Such people are unable to stand for the truth, and so will find excuses to justify their lack of zeal for the things of God. Lukewarm people are dream-killers and act as bad influencers. If you are hot and you stay around them, they can discourage you by their attitude. Are you lukewarm? It’s time to come out of that state today! Take a stand for the truth and for living right! Those who find it difficult to stand up for Jesus still love the world.